Large scenes can be even too large for a super-wide angle lens. Or, maybe you need a very high resolution image. A multi-image panorama would do the trick. But, is it difficult to create? Did you see that Microsoft commercial of the 4-year-old girl making a panorama of her bedroom tent? If a 4-year-old can do can do it… Well, it actually is that easy in Photoshop CS4. 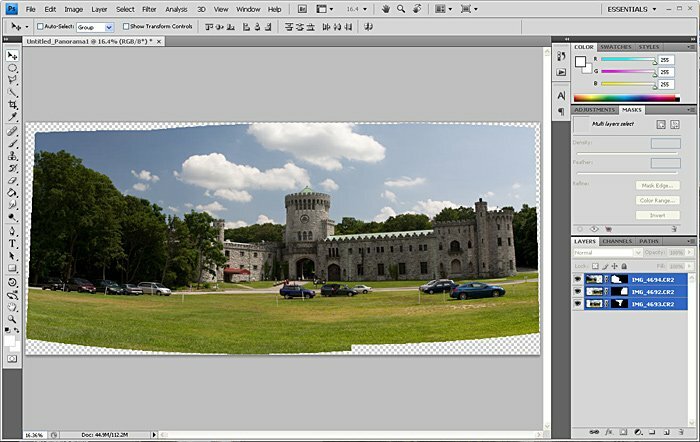 In order to create a panorama, you need a series of photos with overlapping details. A tripod would be helpful. But, in the above photos, I just hand-held the camera and slowly turned. Don’t worry about color-shifts. Photoshop will handle that during the merge. 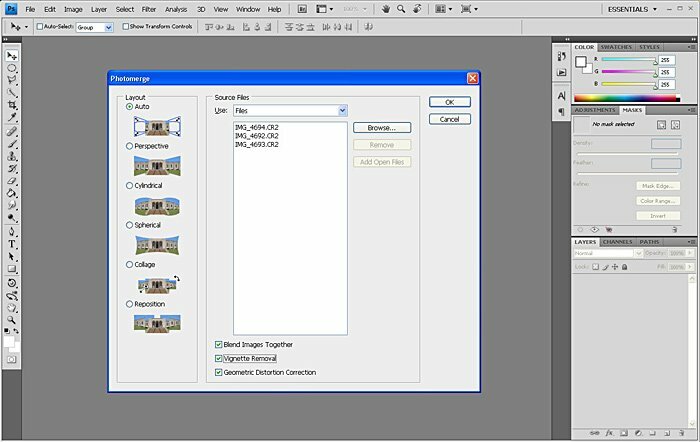 As part of the photo-merge, Photoshop will automatically align the images, blend the images, fix color shifts and even remove the vignette and distortions. Photoshop does all of the hard work. It will keep each image on its own layer using masks to produce the complete image. I just cropped off the excess and tweaked the image in Photoshop. The final image was over 35megs, 5740 x 2165 pixels @240dpi.